We have expanded our Seed contingent and offer now seeds from over 50 different plants. As a special offer you can now buy a beautiful hand-branded and varnished wooden box containing seed-samples from over 40 plants we currently have in stock. 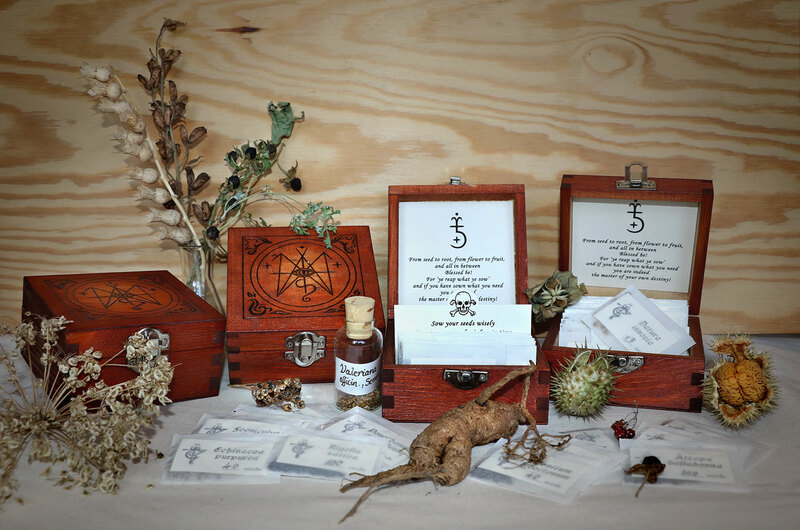 Along with the box you also receive sowing instructions for each herb, illustrated with our unique plant seals. 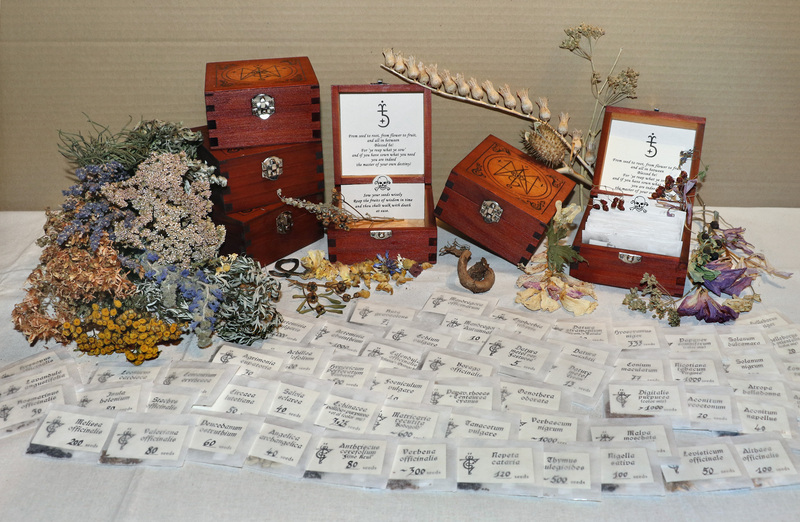 If you think that is just too much you can also get the wooden boxes in smaller size with seed samples from at least 22 different plants. 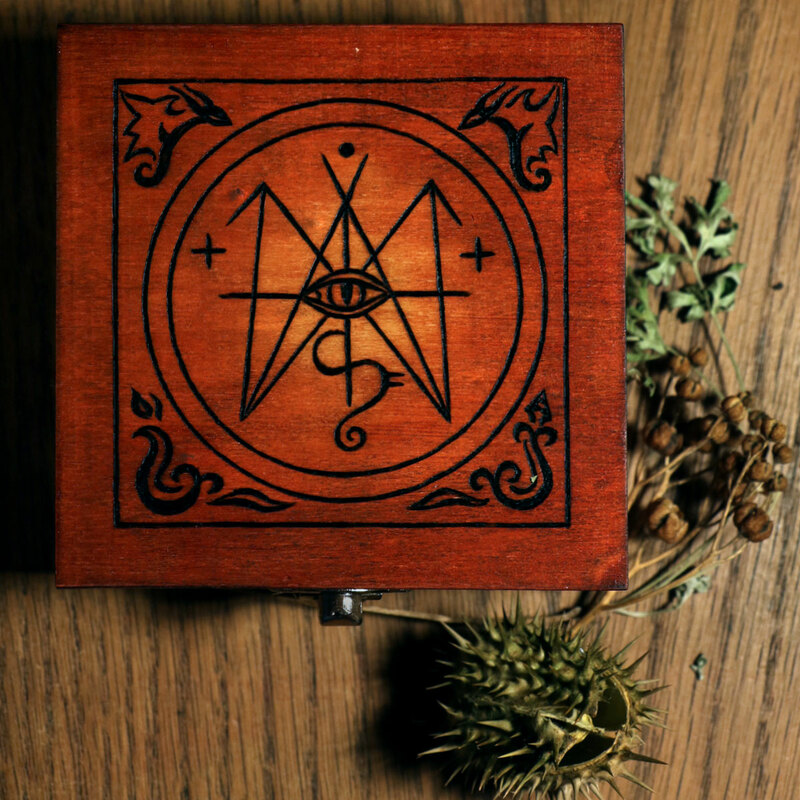 The same seeds can also be purchased with a sigil-adorned Cardboard-Box. Printed sowing instructions are included here as well. For more special offers check our Seeds Collections or view the A-Z list of available seeds including prices on single seed portions. For orders and reservation write to info@teufelskunst.de with a list and note if you wish to receive sowing instructions with your order. Also please bear in mind that different countries have different laws and conditions on shipping. We charge in any case only the actual fee it costs to ship but we cannot take responsibility if a mailing gets lost or cannot be delivered. If there is doubt please check first the laws of your country.